Combining original essays based on the past, present, and future of the Ohio & Erie Canal, Canal Fever showcases the research and writing of the best and most knowledgeable canal historians, archaeologists, and enthusiasts. Each contributor brings his or her expertise to tell the canal’s story in three parts: the canal era—the creation of the canal and its importance to Ohio’s early growth; the canal’s decline—the decades when the canal was merely a ditch and path in backyards all over northeast Ohio; and finally the rediscovery of this old transportation system and its transformation into a popular recreational resource, the Ohio & Erie Canalway. Cannibal Old Me is an excellent contribution to Melville scholarship, challenging long-held assumptions regarding his early works. Scholars as well as students will welcome it as an indispensable addition to the study of nineteenth-century literature and maritime history. Using a wide array of primary materials from both sides of the Atlantic, Myers traces the sources of potential Anglo-American wartime turmoil as well as the various reasons both sides had for avoiding war. And while he does note the disagreement between Washington and London, he convincingly demonstrates that transatlantic discord was ultimately minor and neither side seriously considered war against the other. Women’s studies has been inclined, unintentionally, to create a new elite. Historians have preferred to emphasize progress, particularly when created by women themselves, and biographers have chosen strong, successful women. But the vast majority of women were not activists. Susan Clay Sawitzky’s life shows that tradition and modernity can and did exist simultaneously, creating tremendous complexity in the lives of individuals. Her experiences suggest that compromise may result as much from fatigue as from lack of desire or courage. To the degree that the nation had a coherent diplomacy during the first Roosevelt administration, it was based on Hull’s vision of a liberal international economic order. By outlining Hull’s crucial role in the passage and implementation of the Trade Agreements Act, Cautious Visionary will restore Hull’s reputation as one of the major political and diplomatic figures of the first half of our century. Caves and Culture is primarily focused on the archaeological research of Dr. Olaf H. Prufer and his associates as they investigated and explored caves in Ohio since 1964. Spurlock and her co-editors report, sometimes reclaim, and frequently reinterpret data that will be useful to the understanding of Ohio archaeology for decades to come. Anyone with interest in local or regional (Midwestern or midcontinental) prehistory will appreciate this exploration into Ohio’s history. This detailed and well-illustrated study explores the hundred-year history of the longest-surviving public-use airport in Ohio. 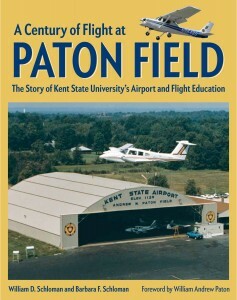 Intertwining the story of the airport’s development with the history of flight-education programs at the University, the book highlights a vast cast of characters and an examination of aviation’s development on the local level throughout the last century.